Sport makes physical and mental demands on your body. Recreational drugs are also demanding on you – whether you want them to or not they affect your mind and body. When you are very active - during sport for example, your body adapts to provide you with the support you need, such as increasing the rate your heart pumps blood and supplies oxygen to your muscles. Your brain works to maintain body temperature, coordinate your movement, and make sure you are alert. Your body is designed to coordinate itself to allow you to perform at your best. 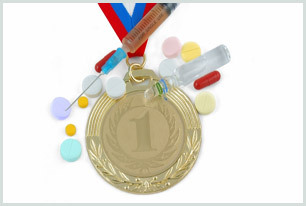 Mixing drugs and sport can disrupt your game in many ways. Depressant drugs such as cannabis, alcohol and opiates, slow down your breathing. Cannabis reduces your lung capacity, so it’s harder to get the oxygen your muscles need during sport. Opiates, such as heroin and codeine, slow down your breathing and narrow your airways. This makes it harder to breathe and reduces your breathing at a time when your body needs extra oxygen. Stimulant drugs, such as cocaine, ecstasy and speed, increase your heart rate and put undue stress on your heart. Cocaine can cause heart attack and abnormal heart rhythm. When you use speed, the lack of blood to your heart can cause angina (severe chest pain). Depressants such as alcohol slow down your heart rate, meaning less oxygen-rich blood reaches your muscles. The last thing you want during sport is to disrupt your coordination and relax your muscles. Depressants such as cannabis reduce your motor activity so it’s hard to coordinate your movements during sport. Alcohol is high in calories so you may start piling on the weight. Stimulants increase your movements so you are more likely to injure yourself during sport. Cocaine at higher doses can act as an anaesthetic so you can’t feel pain and may play on after an injury, causing even more damage. Depressants like cannabis, alcohol and opiates affect your alertness and concentration, so you are slower to react. Stimulants, such as cocaine, speed and ecstasy can make you irritable and restless – making you less focused on the game. Hallucinogens like cannabis and magic mushrooms can play havoc with your senses. They affect your sights and sounds, which could disrupt your performance. Some depressants, such as alcohol, cause mild anaesthesia or loss of feeling, so you may not notice when you’re injured. This can lead to delays in getting rapid treatment and in recovery. Stimulants, such as cocaine and speed, can keep you awake so you don’t get the rest you need and this can affect your performance. They also decrease your appetite when you should be replacing calories after using so much energy. Side effects also include confusion, delirium and paranoia. At higher doses stimulants can cause you to become irritable and aggressive, they can also cause blood vessels in the brain to rupture leading to convulsions.